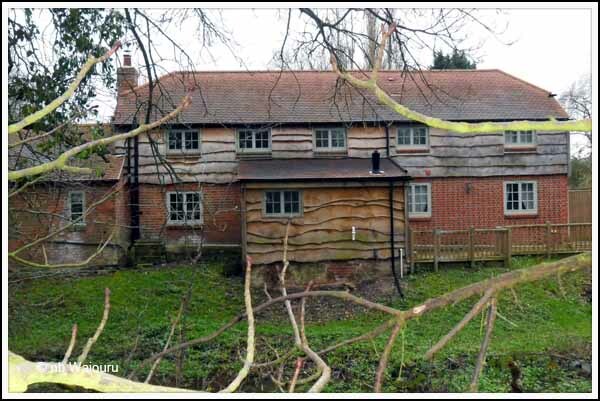 We were back near the River Kennett today and I noticed more dwellings with rough sawn slab cladding. Only the upper storey of this dwelling has the timber cladding. This isn’t much in the way of mould on the timber which I assume is because this particular home appears to get full sunlight. By contrast this dwelling is surrounded by trees and the mould is quite apparent. 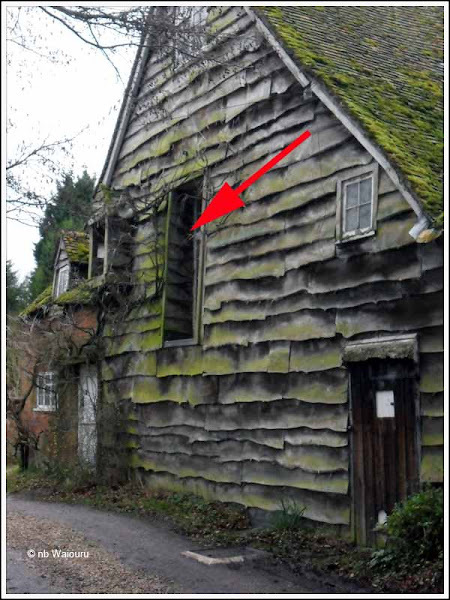 I suspect the recessed window is a former second floor doorway (red arrow). I think the building is probably a former flour mill and assume either raw or processed produce entered or exited via the doorway to the road below. It even has a water channel directly underneath the building which probably turned a water wheel. I thought it was most unusual! "Waney-edge cladding is a very traditional style of cladding created by overlapping boards sliced straight from the tree. Each board has one waney edge (with bark on) and one square edge. The boards are laid to show the waney edge, with an overlap of 40 – 50mm. Waney-edge boards are supplied green* (wet) with a sawn finish"
So you're spot on... You clever devil!